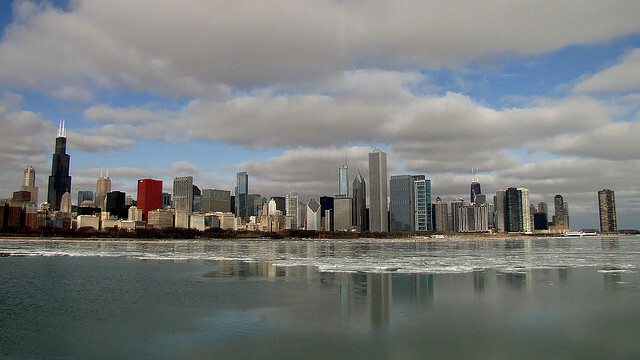 File: Chicago skyline in winter. According to Chicago Public Schools, its classes are cancelled on Thursday, Feb. 19, due to a forecast that is predicting extreme cold temperatures and winds. "While classes are cancelled, CPS buildings will remain open and accept students who still arrive at schools. CPS teachers and educational support personnel are not expected at schools tomorrow, but CPS administrative staff, building engineers and custodians will report to work."